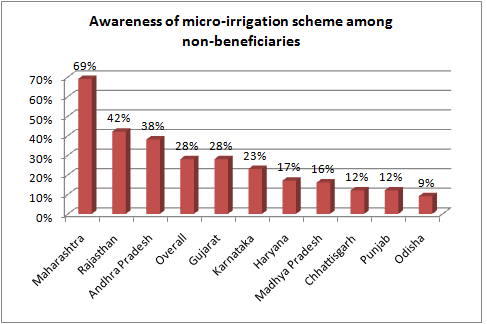 Despite claiming huge initial success in micro-irrigation (MI) system, latest Planning Commission study, “Evaluation Study on Integrated Scheme of Micro Irrigation” (January 2014) has suggested that Gujarat has begun to falter. 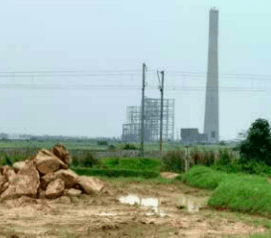 The study reports that, potentially, Gujarat has a considerably high proportion of land which could be brought under MI — it is 31 per cent of net area under cultivation, or 3,278,000 hectares (ha) out of 10,680,000 ha. However, of the potential area identified, which could be brought under cultivation, only 9.3 per cent (or 306,000 ha) has been actually been brought under MI. 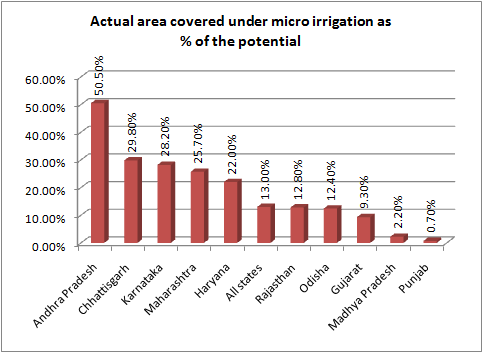 This is against the average of 13 per cent of the total potential area brought under micro-irrigation in 10 sample states taken up for study – Punjab, Haryana, Madhya Pradesh, Gujarat, Odisha, Andhra Pradesh, Karnataka, Chhattigarh, Rajasthan and Maharashtra. 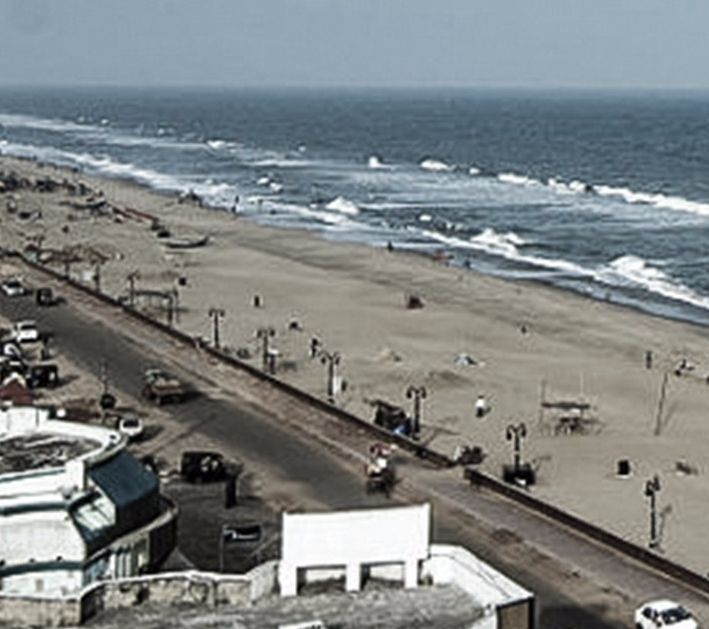 Inter-state comparison shows where Gujarat stands: Andhra Pradesh brought under MI system 564,000 ha out of the identified potential of 1,117,000 ha (50.5 per cent), ranking No 1, followed by 63,000 ha out of 211,000 (29.8 per cent) in Chhattisgarh, 525,500 ha out of 2,390,000 ha (22 per cent) in Haryana, 405,900 ha out of 1,442,000 ha (28.2 per cent) in Karnataka, 696,900 ha out of 2,714,000 ha (25.7 per cent) in Maharashtra, and so on. 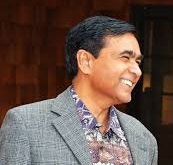 The study says, while Andhra Pradesh and Gujarat were the only two states where Special Purpose Vehicles (SPVs) became operational for undertaking MI system — Gujarat Green Revolution Company (GGRC) and Andhra Pradesh Micro Irrigation Project (APMIP) — and the SPVs displayed “unique strengths”, things slowed down in Gujarat at time passed. 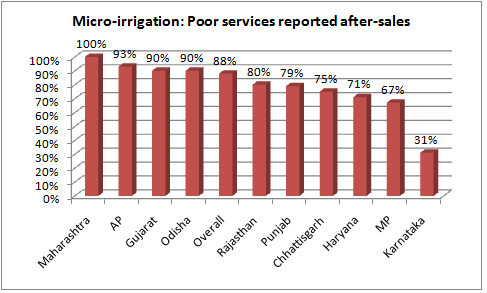 Initially, the study says, “the GGRC harnessed the prowess of IT innovations and APMIP utilized the wide network of its functionaries so as to reach closest to the potential beneficiaries for achieving an optimal level of implementation.” But “Andhra Pradesh surged ahead of Gujarat as it effectively put across the technology of micro irrigation among its farmers by conducting maximum number of training programmes and seminars, besides enabling the coverage of the largest area under the scheme.” It underlines, “The GGRC has evolved excellent policy frameworks, yet it has not been able to translate that proportionately into the field, probably because of the absence of an extensive network of its functionaries.” In other states, factors affecting the popularity of the MI scheme included poor structure and disposition of the implementing agencies, lack of proactive role played by the state governments, and quality of services provided by the registered suppliers of the MI system. 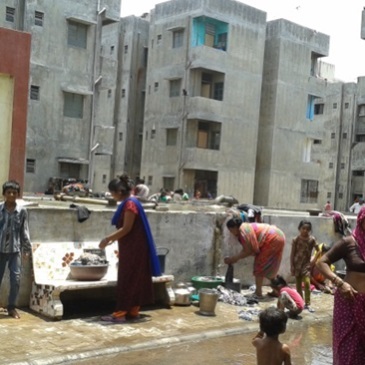 Relatively poor subsidies to the needy in Gujarat is offered despite the fact that, with the formation of National Mission on Micro Irrigation (NMMI), the Government of India “has increased its own share of subsidy to 50 per cent, from the year 2010-11 onwards, for the small and marginal farmers who own less than 2 ha of agricultural lands.” The study says, although it is more than six years since the scheme has been implemented, nearly half the beneficiaries have reported facing no problem in the operation and maintenance of the installed MI systems till the time of collection of data.